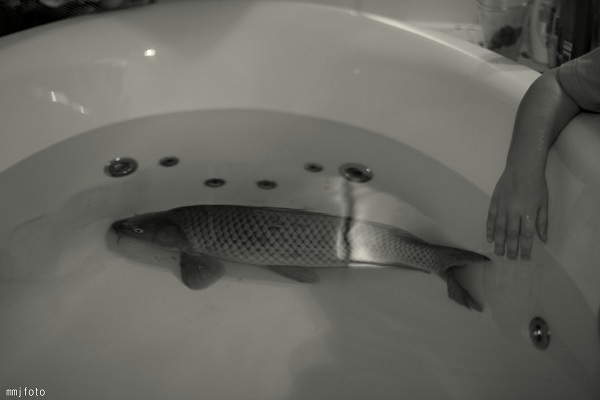 KRÍŽOM... KRÁŽOM.....MARTINA FOTO: CARP FISH IN THE BATH…..
CARP FISH IN THE BATH….. 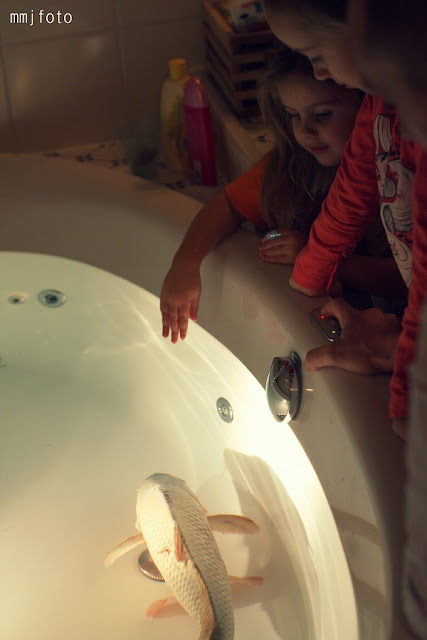 It may not be the tradition in every family, but in our family, we used to have a live carp fish in the bath before X-mass - till we grew up of course every year. I nearly forgot about how happy I used to be watching this big fish swimming in our bathroom. 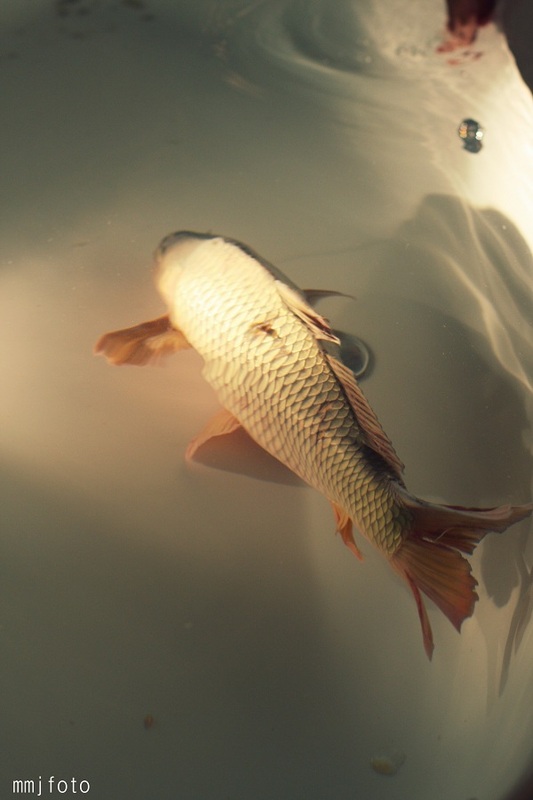 Today I got the phone call from my dear husband: “Shell we not buy a carp fish for the little ones my dear?”….. What a brilliant idea!!!! Girls have been so surprised and happy. 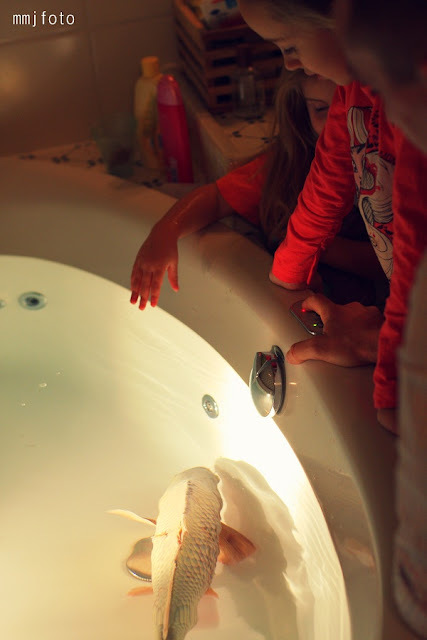 And the best part – the fish want end up on the X-mass table, but in our small garden lake – very satisfying!!! !